These magnifying lenses let you instantly switch between close-up and distance viewing. Simply clip them onto your regular glasses. To see close, flip them down. For normal vision, flip them up. 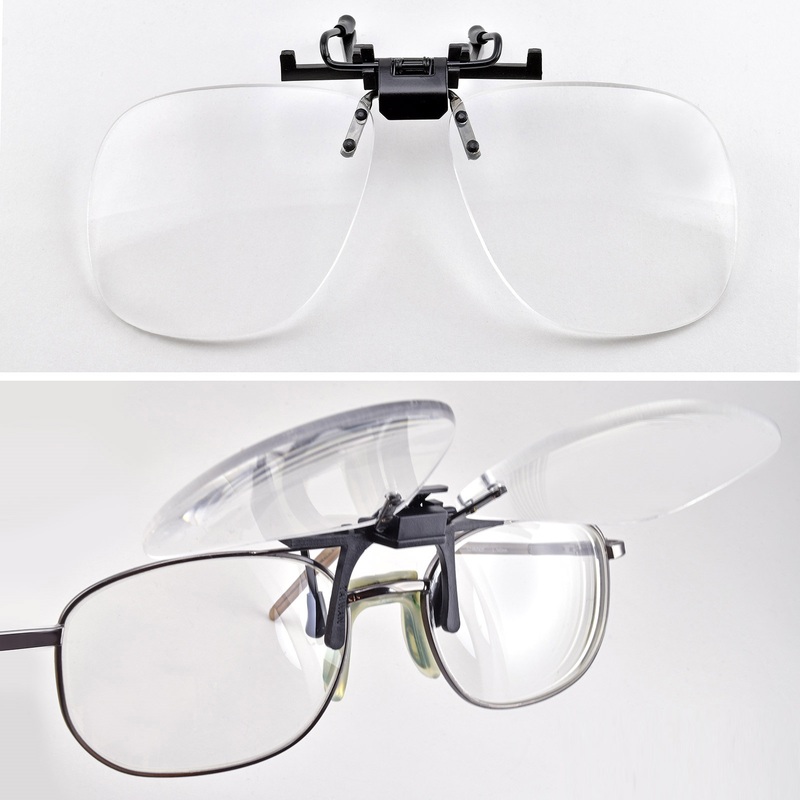 Large optical quality acrylic lenses mount directly in front of your glasses to eliminate double vision. +2.00 power lenses magnify 1.50x at a working distance of 19 inches . . . perfect for general work at your workbench.